I remember the exact moment I fell in love with fall – it was October of my freshman year of college while driving from Eastern Tennessee to Raleigh, North Carolina. The mountains were on fire with shades of red and orange. It took my breath away. Growing up in North Dakota, fall lasted about a month before it snowed on Halloween. The opportunities to enjoy fall foliage were limited, to say the least. Now, not only do I have amazing color in my backyard, but I have a garden in which to plant a fall crop. 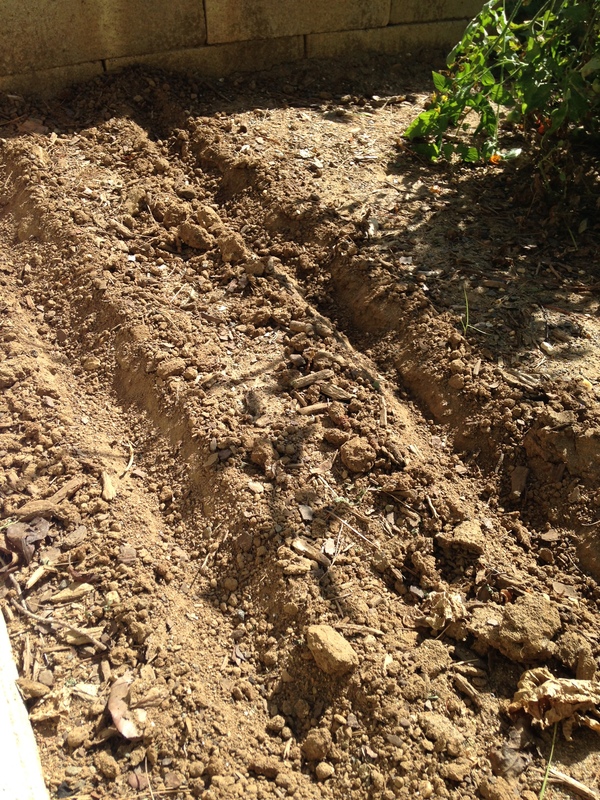 That said, it took several weeks for us to finally get all of our fall planting finished – mainly because it was so HOT!! … I managed to plant a couple rows of radishes and carrots and spread some compost before downing a bottle of Gatorade and retreating from the 95 degree heat. 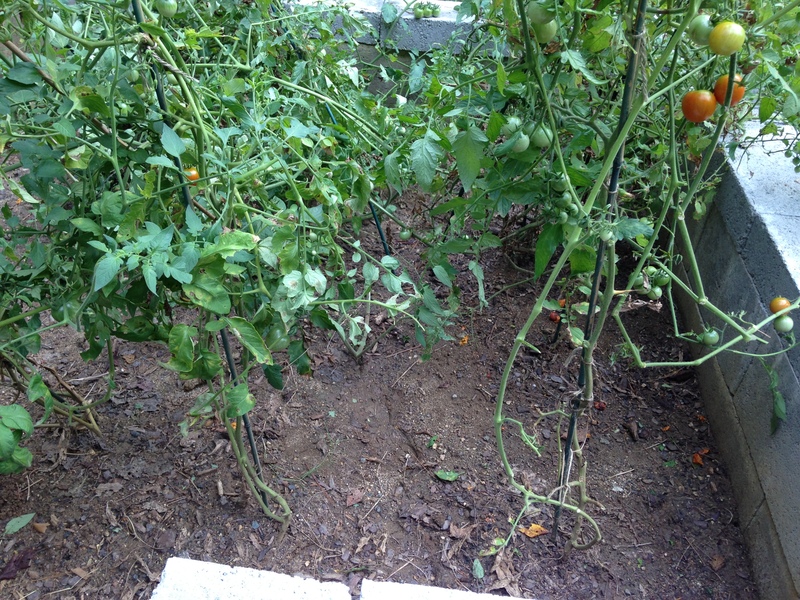 The next week we tackled the tomato plants. 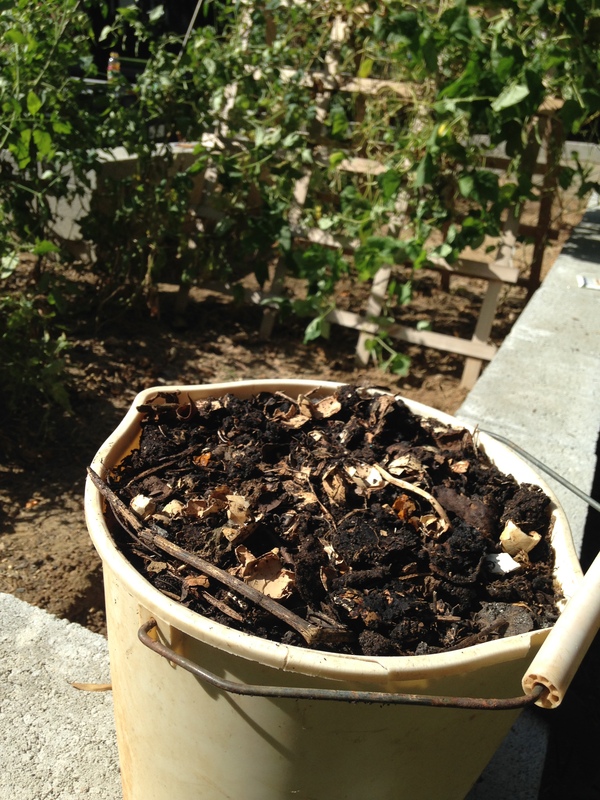 I trimmed back the bottom growth and the vines that were no longer producing and used them to start a fresh batch of compost. 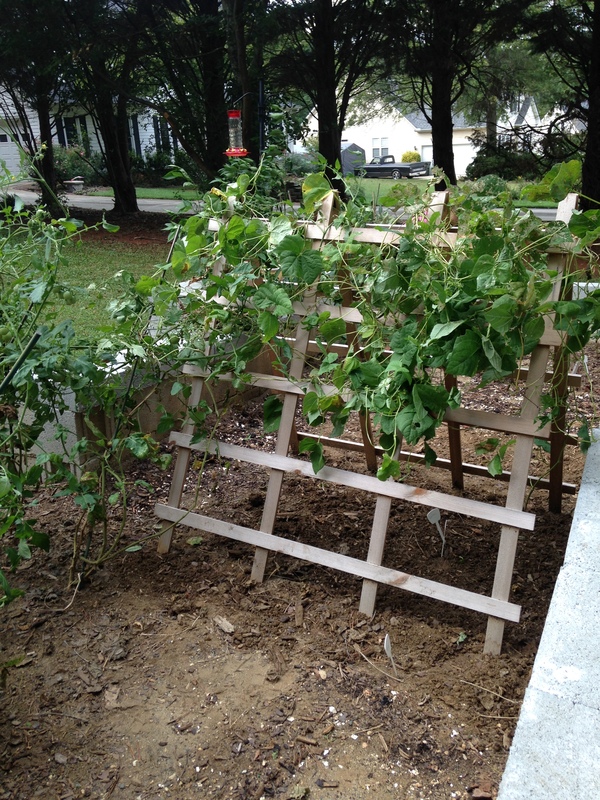 I also pulled up all but one of the green bean plants to make room on the trellis for peas. 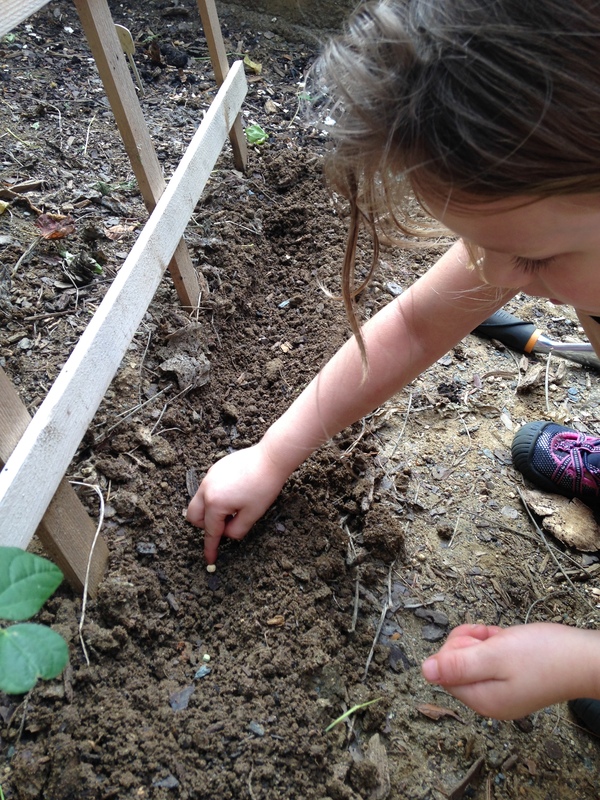 We then planted pea seeds. I decided to give them a second chance since it was already too hot when I started the plants in the spring. 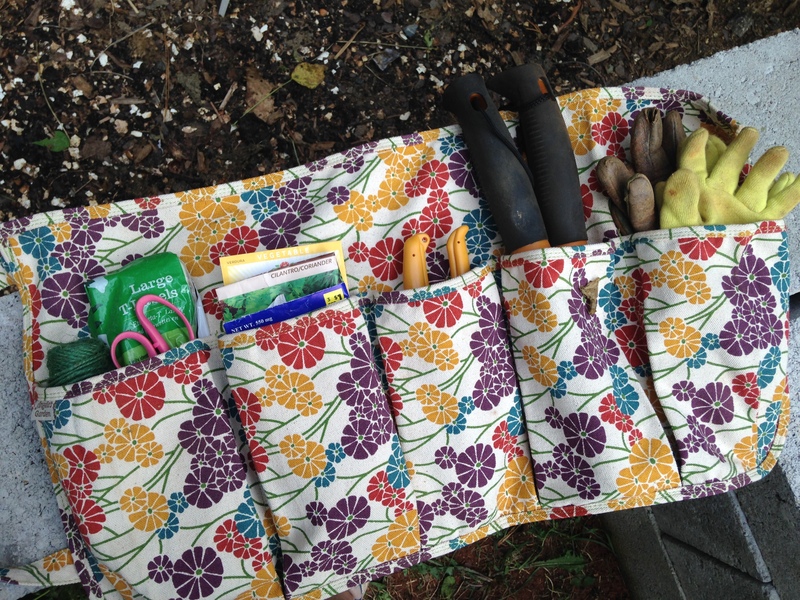 We sowed a row on each side of the trellis. 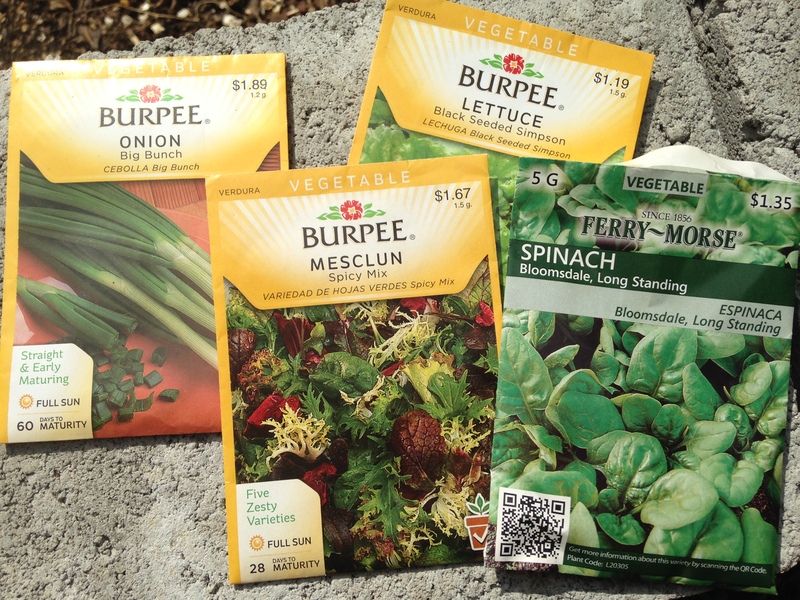 The next week we planted more spinach, lettuce and mesclun mix. 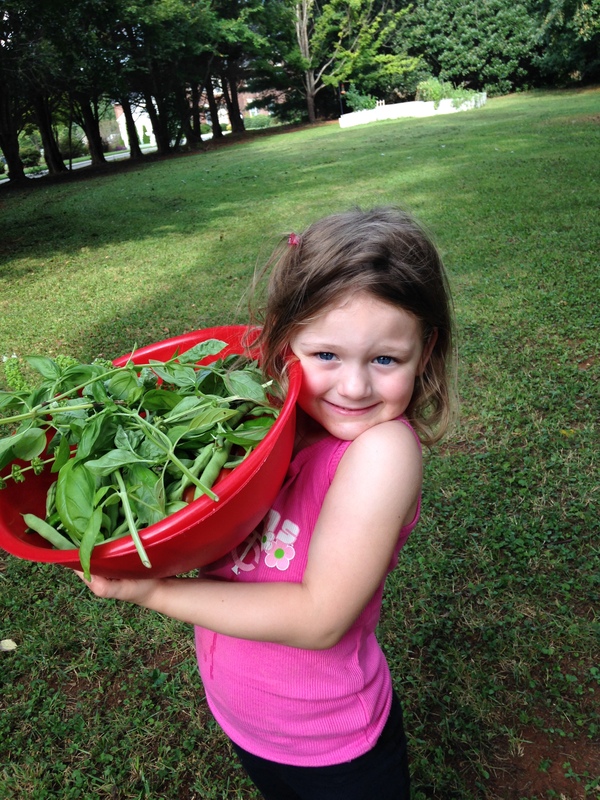 We also harvetsed another large bowl of peppers, beans, and tomatoes. Our hard work is paying off! The radishes came up immediately. The peas are now beginning to climb the trellis and there are even a few carrot tops! I also decided to brighten up the garden with paint. 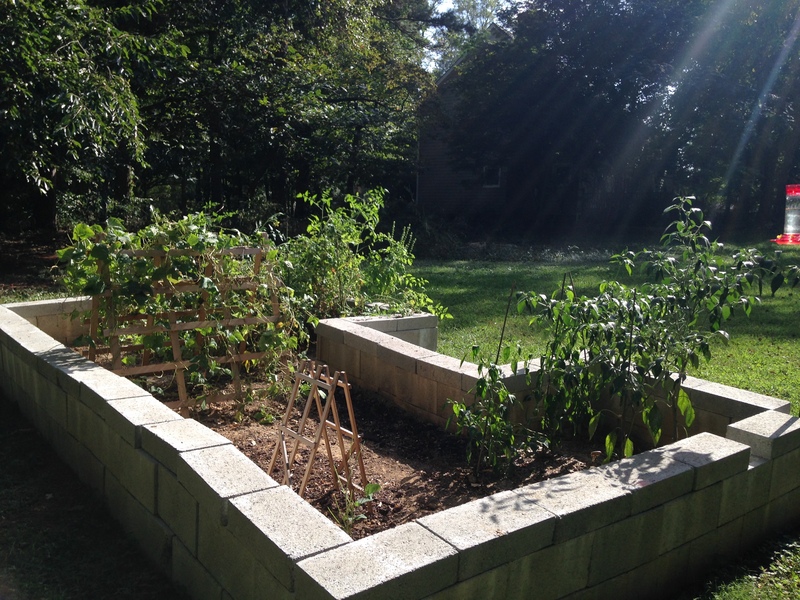 While I don’t regret my decision to build the raised bed with cement blocks, it resembled a concrete fortress in our backyard. 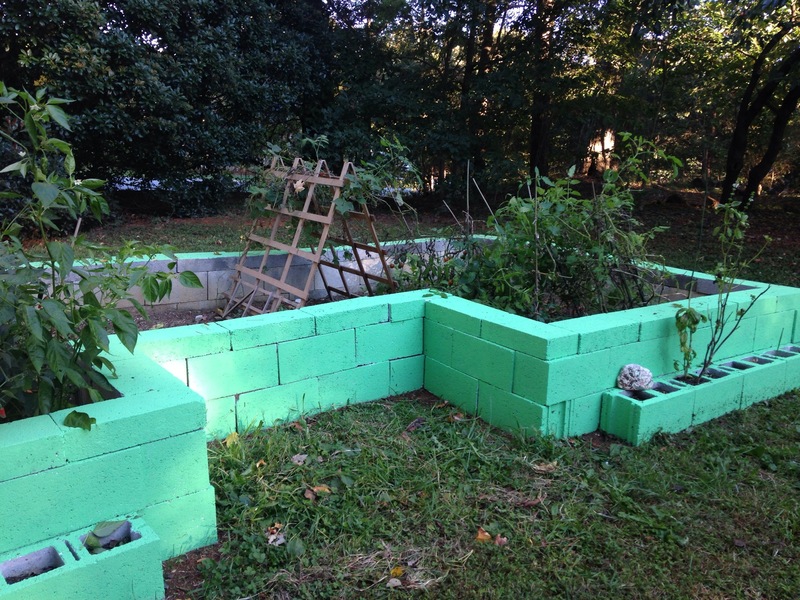 I thought a nice shade of green would keep it from being an eye sore, especially during the dreary winter months. I only painted the outside so that we don’t run the risk of paint leaching into the soil. I am absolutely in love with the result!